The number of internet users globally has seen exponential growth over the past couple of decades. An increasing number of people have access to the internet, and there are no geographical barriers in terms of access to content online in most instances. 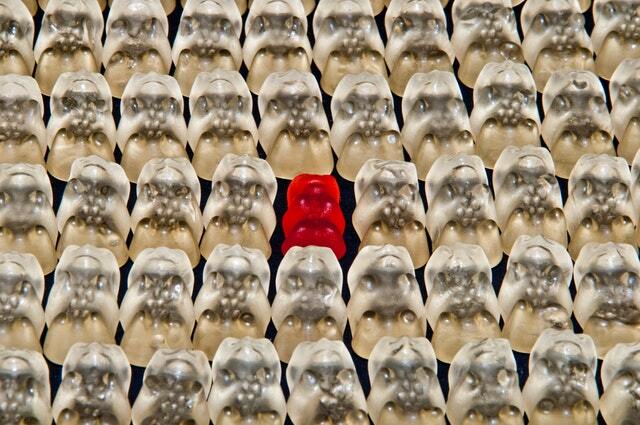 As a blogger, this can make it increasingly difficult for your blog to stand out. You’re therefore fighting for visibility with millions of other bloggers online which means you need a competitive edge. There are a number of ways which you can separate yourself from the masses, some of which might require a little financial investment. In this article, you’ll find a few ways that you can consider trying in order to make your mark in the blogging world. When you start a blog, similar to a business, you should have a clear objective regarding what the purpose of the blog is. You can either choose to create a blog that is a niche, or you could choose to focus on something that’s already being done and find your unique edge. Whatever you decide, it should be clear what exactly your blog is about as soon as people land on your site. It is also important that you’ve been able to clearly define who your audience is so that you can create content that caters to their needs. If, for instance, your blog is about luxury cars, then you should be targeting people who share a similar interest and find out what kind of information regarding cars interests them. By doing this, you can avoid cluttering your blog with content that isn’t related to your theme and instead give people what they want. If you already have a blog and it doesn’t seem to be generating traffic, you should go back and check if your objectives are clear. If not, do some market research and see if you actually have a wide enough audience for your blog’s theme. If you do, see how you can revise your blog and do more market research to better meet your audience’s needs. Partnering with other bloggers who already have authority in their niche can prove to be effective. As nothing in life comes free, you could decide to give them content through the means of guest posts and in return, they could give you visibility. This could trigger an increase in traffic if your content is engaging and stirs conversation. It is also important that you don’t forget to include links back to your website in the body of the content or in your bio. By doing this, you will direct traffic back to your site and hopefully, have acquired a new set of loyal viewers in the process. Another way you could partner to increase your blog’s visibility is by using influencers. You would need to start by attempting to develop authentic relationships with them via social media. You should then think about creating content that is worth retweeting, and that will be relevant to the influencer’s audience. In order to achieve this, try and tailor the content you want your influencers to promote around their areas of interest so that they’re more likely to engage with it. You can then try sharing your content with them and asking for a retweet or repost. Always bear in mind that it’s easier to ask favors from someone you have previously helped or developed a relationship with already. Digital marketing can prove to be an effective way of gaining visibility as a blog. You can choose to go about doing it organically or fast-track the process by using paid media. Some forms of paid media you can consider include Instagram ads, Facebook ads, and Twitter ads. You can choose how many days you want your campaign to go on for, but the more days you opt for, the more expensive the ad becomes. You should also put careful thought into the sort of content that you want to advertise to ensure it reaches your target audience and grabs their attention. If not, you may be disappointed when you don’t get good results and fail to get a return on your investment. You may want to get advice from an expert regarding the right copy and images to use. Alternatively, consider starting with a minimal financial investment while you figure out what brings results in terms of traffic and what doesn’t. The number of blogs that are taking advantage of apps is steadily increasing. There are several reasons for creating an app for your blog, and one is to create a greater level of engagement. Some other reasons include its ability to be present where mobile users are, and push messaging which can send notifications about any new posts or updates directly to user’s mobile phones. If you do decide to utilize this opportunity, you could start by getting an app developer to create the app for you. Once it’s done, you could use a Tinder clone to deploy your customized app to Apple or Google Play stores. The final leg would be pouring extensive work into actually marketing the app. You can market on your actual blog within your content and ad spaces as well as by using paid media and influencers as mentioned above. You may find that you have a wider reach and you’re able to create a more intimate community by creating an app for your blog. Blogging can be an exciting career path to take or hobby to engage yourself in. It gives you the chance to pick a niche that you have an interest in and create content for people who share that same interest. There are no limits to what you can do as it’s your own space and platform. One of the major keys, however, to becoming a successful blogger is to create a clear purpose for your blog and meeting people’s needs through entertaining, informing, or educating. With a clear vision, hard work and the right formula, your blog should stand out from the crowd eventually. I have invested much in digital marketing and Strategic Partnerships but have not yet focused on the creating app. Thanks for your guide that made me realize to put investment on App as well. One can not survive google ranking unless he invest in digital marketing in 2018. I saw my own blog get whooping traffic after using google adword for a while. Conclusion, its a good to go decision you can take. Thanks, Klaus for spreading the light on blogging strategies, I am also a start-up blogger and working in Digital marketing too as an SEO executive. Such type of information is necessary to me for learning at this my learning period. So keep posting the blogs on these topics.